Naurif® Injection: Prevention of nausea and vomiting associated with initial and repeat courses of emetogenic cancer chemotherapy, therapy including high dose cisplatin. Prevention and treatment of postoperative nausea and vomiting. 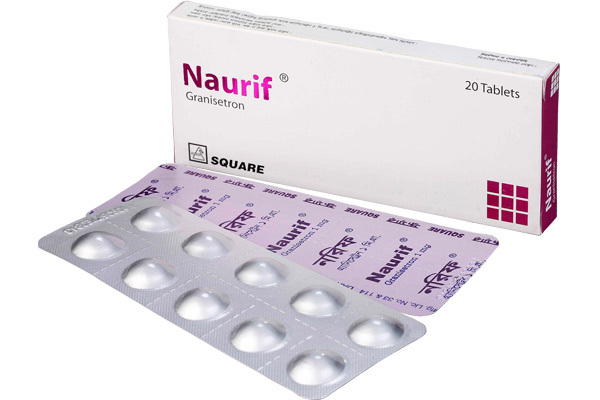 Naurif® Tablet: Nausea and vomiting associated with initial and repeat courses of emetogenic cancer therapy, including high dose of cisplatin. Nausea and vomiting associated with radiation, including total body irradiation and fractionated abdominal radiation. Naurif® Injection: Chemotherapy Induced Nausea and Vomiting: Adults: 10 mcg/kg administered intravenously within 30 minutes before initiation of chemotherapy, and only on the day(s) chemotherapy is given. Paediatric patients 2 to 16 years of age: 10 mcg/kg. Treatment of Postoperative Nausea and Vomiting: Adults: Single dose of 1 mg of Naurif® should be diluted to 5 ml and administered as a slow intravenous injection (over 30 seconds). Naurif® Tablet: Emetogenic chemotherapy: 2 mg once daily or 1 mg twice daily. Administered only on the days(s) chemotherapy is given. Radiation: 2 mg once daily. Two 1 mg tablets are taken within one hour of irradiation. 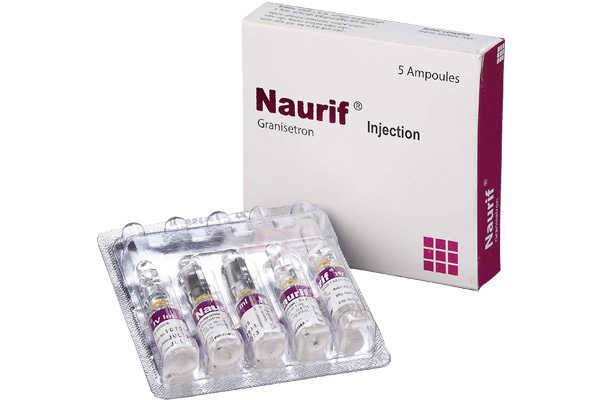 Naurif® injection in blister pack. Naurif® tabletsin Alu-Alu blister pack.